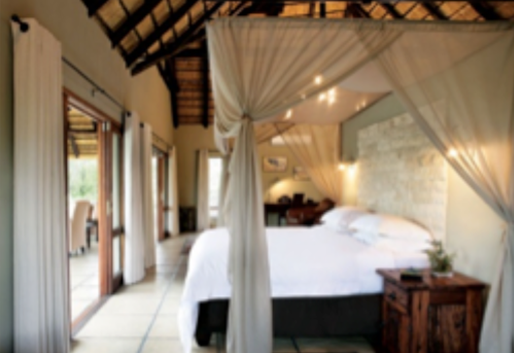 Arathusa Safari Lodge is located within the northern sector of the coveted Sabi Sand Reserve, adjacent to the Kruger National Park. This region has gained favour due to its lengthy history within the South African tourism industry, its incredible concentrations of wildlife, and the high quality private safaris on offer. 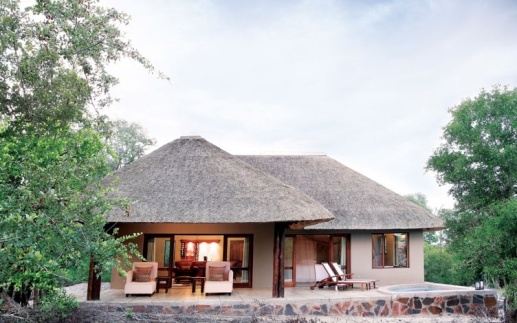 The lodge flanks the bank of a large waterhole (approximately 250m x 150m) allowing for a 180 degree view of the water. Guests are able to view and enjoy a variety of wildlife (including the big five – lion, leopard, rhino, buffalo, elephant). There are usually between 5 and 20 hippos “right on the doorstep” providing 24 hour entertainment. An infinity swimming pool overlooks the waterhole and is the perfect spot for wildlife viewing on a smoldering African summer’s afternoon. A traditional open-air boma (brick & grass enclosed dining area) presents guests with a novel way of appreciating an enjoyable meal under the stars to the sounds of the African wild. 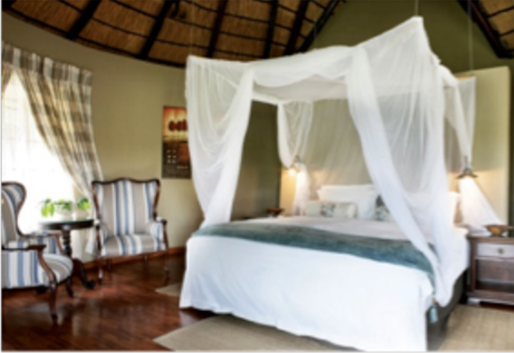 Arathusa Safari Lodge is an intimate and hospitable camp. 9 thatched standard rooms are within the camp's perimeter. Each has a bathroom en-suite (with bath and separate indoor and outdoor showers), and a verandah for optimum enjoyment of the surrounding wilds. Twin rooms may also be arranged. Arathusa also has 4 luxury rooms. These remote and exclusive units are further removed from the main camp facilities, and have their own private plunge pools and lounge areas. Please note: Luxury rooms do not have a view of the waterhole. 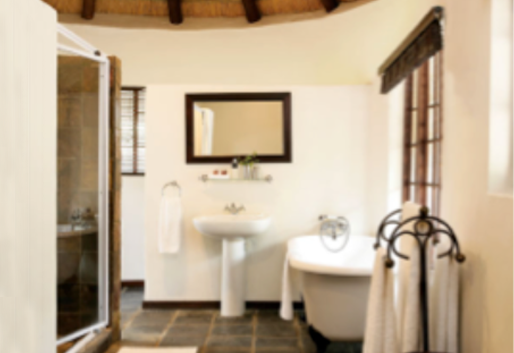 Arathusa Safari Lodge offers a comprehensive spa and wellness experience. The facility has two treatment rooms overlooking the camp's waterhole and the beautiful African bushveld, and offers a wide selection of treatments to soothe the body, relax the mind, and indulge the senses. The spa has two therapists, so couples can enjoy their treatments in tandem. Arathusa prides itself on its leopard viewing. There is a female leopard named ‘Safari’ who is often seen around the camp. Approximately 14 leopards are found in the area in which Arathusa operates, 6 of which are seen on a regular basis. Large herds of buffalo numbering in excess of 300 often find their way to the Arathusa lake. One need not move far to enjoy the safari experience! Elephants are also seen in numbers. There are various lion prides in the area, as well as a few nomadic males. General “lowveld” game are abundant in this section of the Sabi Sand Reserve, including giraffe, zebra, warthog, impala and more. Furthermore, this region is a bird-watcher’s mecca. A few of the rarer birds are seen from the camp itself, such as the Horus Swift.